Keune TINTA Permanent Silk Protein Cream Hair Color (Levels 1 to 6) ~ 2.1 oz!! 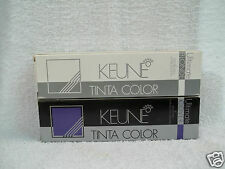 Keune Tinta Color 2000 Permanent Hair Color Series 6 , 7 , & 8 . KEUNE TINTA ULTIMATE COVER~SERIES~ PERMANENT HAIR COLOR~SILK PROTEIN ~ 2.1 oz!! Keune TINTA ULTIMATE Cover / Blonde Series Hair Color + Silk Protein ~ 2.1 oz!! 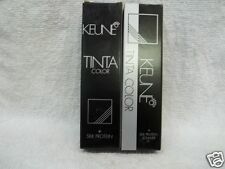 KEUNE TINTA PERMANENT HAIR COLOR ~ PLUS SILK PROTEIN ~ UV PROTECTION ~ 2.1 oz!! Keune SEMI PERMANENT Silsoft Professional Hair Color 2.1 oz ~ BUY 4; GET 2 FREE! KEUNE TINTA BLONDE SERIES ~ PERMANENT HAIR COLOR ~ WITH SILK PROTEIN ~ 2.1 oz!! Original KEUNE Semi-Permanent Cream Hair Color + Amino Acids ~ U Pick ~ 5.1 oz!! Keune Tinta Color 2000 Permanent Hair Color YOUR CHOICE SERIES 0 - 5 . Trending at $10.90Trending price is based on prices over last 90 days.